Torta Caprese Bianca al Limone is the white version of the famous Italian Torta Caprese. And like the dark version, it is also gluten free. A little background on the original Torta Caprese first. It’s made with dark chocolate, ground almonds and more often than not, Strega (liqueur). It is named after the island of Capri, where it is said to have been invented. And as with all legends, there are a few stories that explain its origin. But that will have to be a post for another day! Let’s first work out the Italian words, shall we? 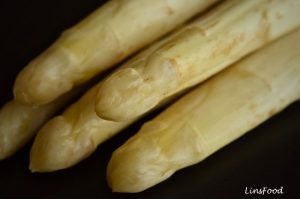 So what is Torta Caprese Bianca al Limone? As mentioned, it is the white version. So instead of dark chocolate, we use white chocolate, and the prevalent flavour is of lemons instead of smoky chocolate and Strega, the Italian liqueur not unlike Jägermeister and the grand old D.O.M. Bénédictine. 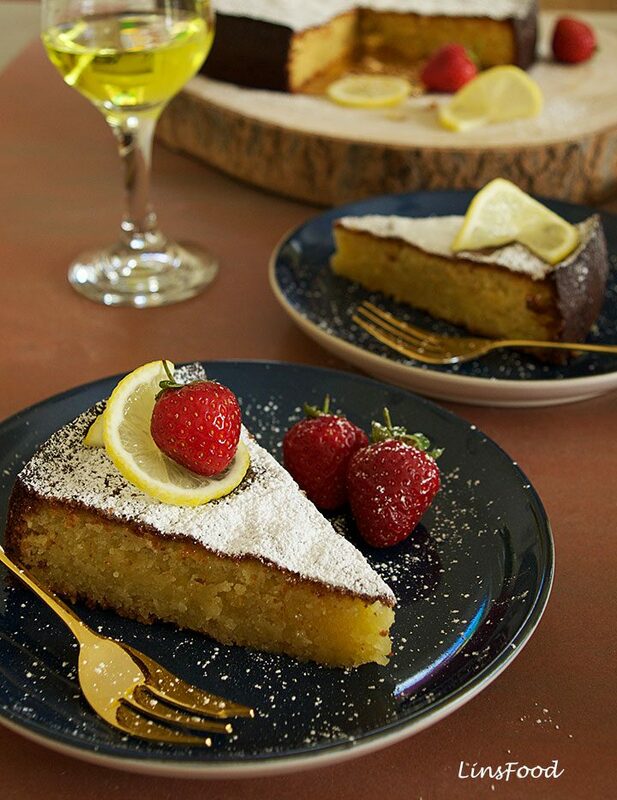 So instead of Strega, we use Limoncello to make our Torta Caprese Bianca or Gluten Free Lemon cake, if you must! Limoncello is an Italian lemon liqueur (below). If you don’t do alcohol, you can substitute it with fresh lemon juice. This recipe is part of the Italian desserts cooking classes and gluten free baking classes that I run. It’s one of those recipes that I can make with my eyes closed, but have never got around to actually posting on the blog. Here I am, finally doing it, and it all came about because one of my friends on Google+ was asking for help in making the cake. I shared my recipe with him, then as I found myself with a few hours to spare this weekend, I thought why not. Of course, the problem was restricting myself to one slice at a time! Speaking of Google+ friends, another friend of mine, Rita Dolce, has a recipe for this very same cake, with different ingredient ratios. Her cake is less dense and looks amazingly delicious, as all her recipes are. You can check out Rita’s recipe here, on her blog, Dolce Rita. First off, let me tell you that this is a pretty forgiving recipe. Some people like their Torta Caprese Bianca grainy and a little on the dry side. 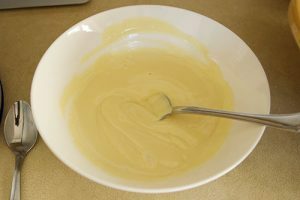 Some people, like me, prefer a denser texture, almost like a pudding, as in the recipe here. 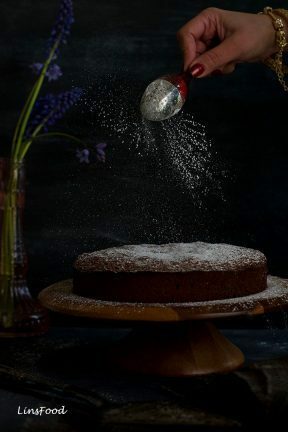 As you get comfortable with it, you can adjust the amount of liquid in your cake to get the drier texture, and see for yourself which you prefer. When I say liquid, I mean the butter and the white chocolate. 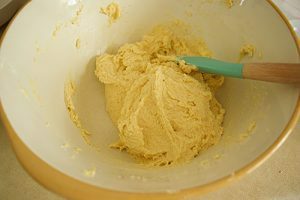 Ground almonds need more binding then regular flour, so we don’t want to reduce the eggs, as that will cause your cake to fall apart. Be generous with the slice! Can you leave out the white chocolate when making Torta Caprese Bianca? Nope, sorry! Not a fan of white chocolate? Well, neither am I. In fact, I rather detest the sickly sweet flavour of white chocolate. So let me tell you that you can’t taste the white chocolate at all in Torta Caprese Bianca. It blends in amazingly. 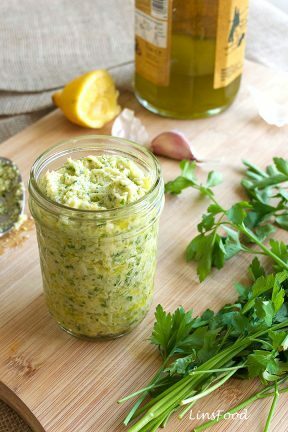 Can you leave out Limoncello when making Torta Caprese Bianca? Absolutely. Just replace the limoncello with the same amount of fresh lemon juice. 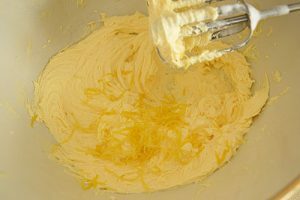 The lemon flavour is fairly pronounced also, because of the lemon zest we add to the cake. Cake baking strips (above) are insulating strips that are placed around a cake pan to stop the edges of the cake from baking too quickly, and therefore browning too much. 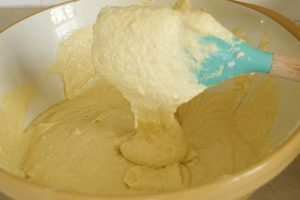 Cakes with a high liquid content, tend to brown quicker, especially eggless cakes. I use a baking strip when making our torta for exactly the same reason. Given the very moist nature of the cake, the edge does brown quite a bit while waiting for the middle to cook. The baking strip solves that problem. Having said that, I bake it without the baking strip half the time. 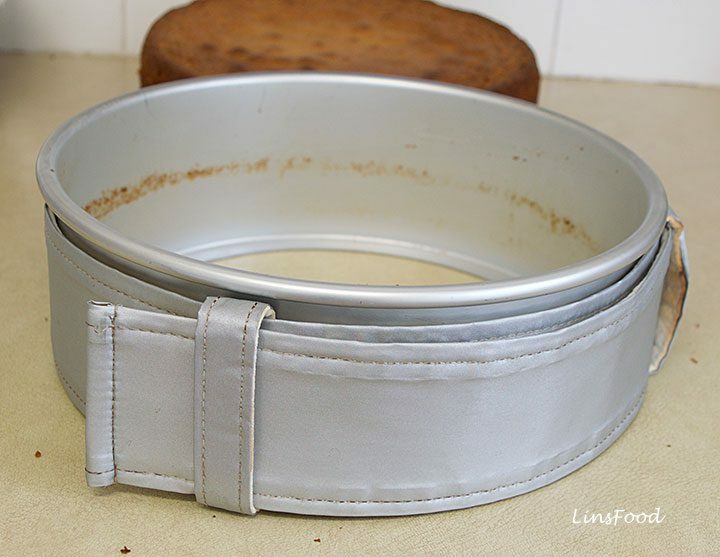 Just cut an old clean towel into strips the same height as your cake pan. Wet one of the strips thoroughly. Wring dry, then wrap around the cake pan. Secure with a small pin or needle. 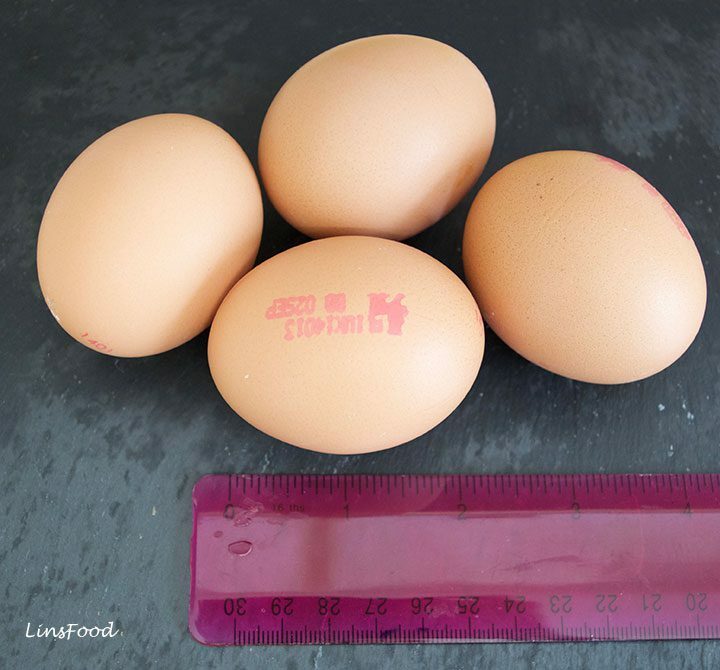 What’s in an Egg Size? Over the years, I’ve had many SOS messages on the Cake Decorating 101 page. 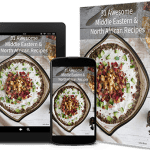 In this day and age of the global village, where we talk to each other from different parts of the world so easily, we forget that ingredients come in different shape and form, even if they are called the same thing. So I thought I’d add a picture of the large eggs I use here in the UK. They are probably medium to some of you! As you can see, they are just slightly longer than 2″ (5cm). Phew, shall we get baking? 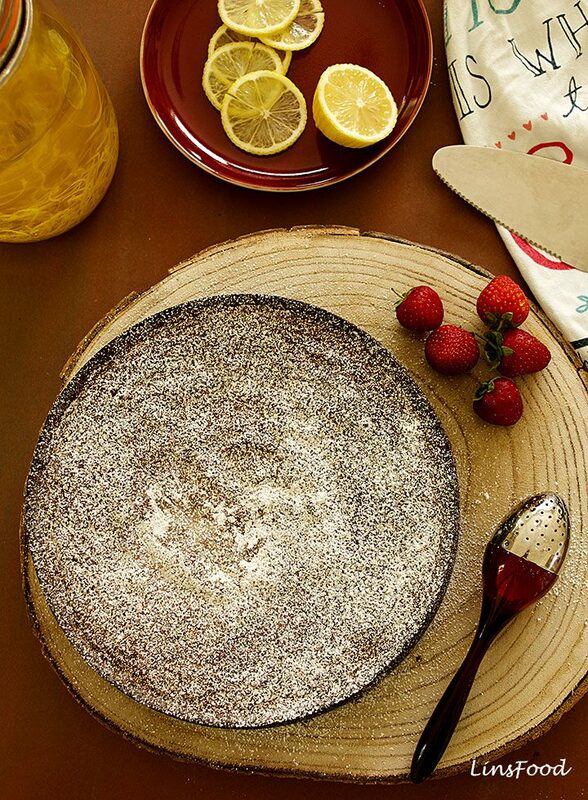 Torta Caprese Bianca al Limone is an Italian Almond, White Chocolate and Lemon Cake. 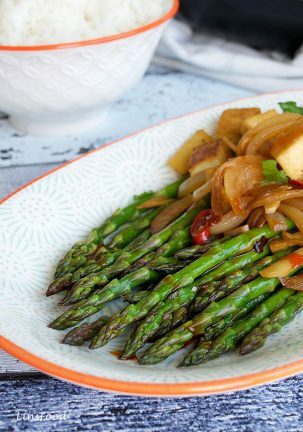 So easy to make and absolutely delicious! You will also need a 23cm/9" cake pan, lightly greased. 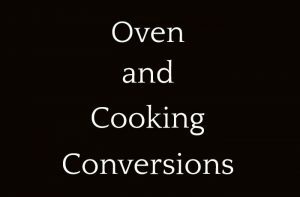 Preheat the oven to 180˚C (350˚F). Reduce by 20˚C/70˚F if yours is a fan oven. 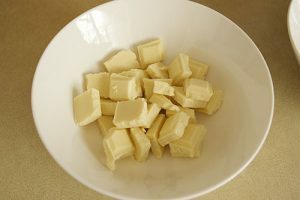 Break the white chocolate up into little pieces and place in a microwaveable bowl. 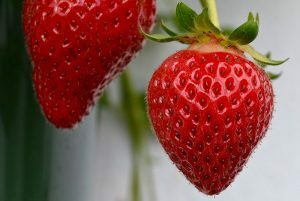 Microwave the white chocolate at 50% power for 60 seconds, stir, and give it another 30 - 45 seconds. Stir until it's all melted. Set aside. 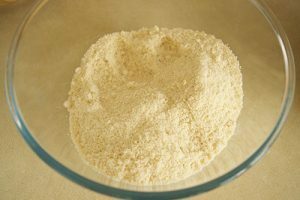 Mix the cornflour into the almonds. 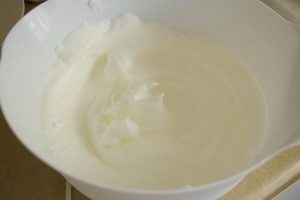 Beat the egg whites with 2 tablespoons of sugar, until stiff. Set aside. 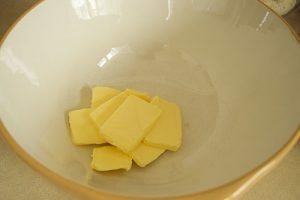 With the same beaters, beat the butter and the rest of the sugar on medium for 1 minute, until pale. 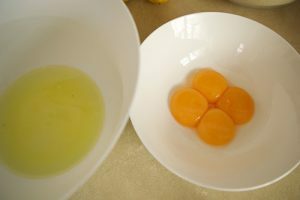 Add the yolks, one at a time, beating about 30 seconds before each yolk, still on medium speed. Then add the lemon zest, almonds, white chocolate and limoncello. Fold in with a rubber spatula or wooden spoon. 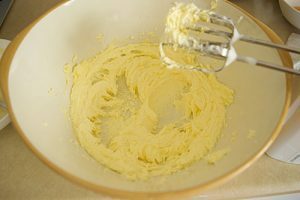 Now, using the same spatula, fold in the stiff egg whites in 3 additions, using a light hand, in an east-west, north-south direction. No stirring round and round. Bake in the preheated oven for 45 - 50 minutes, until the sides are just coming away slightly and a cake tester comes out dry. Leave to cool, then serve as you fancy. Keeps for 2 days, in a tightly sealed container. I made this cake yesterday (with lemon juice) and it was a HUGE hit with my family and guests! 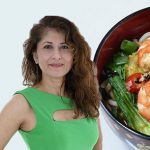 Thanks so much for posting the recipe! I am so glad to hear that. Thank you so much, Lisa! The step-by-step photo instructions are great. 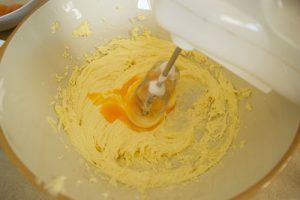 It really helps so that you know what consistency the batter should have when it’s mixed. I’ll be trying this soon! Thanks Lisa, video coming soon too. I can see how moist that cake is. Now I want me some cake. It looks so tasty! I can’t wait to cook it for my family! Thanks a lot for the recipe, saved it. 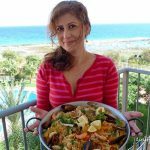 It was fun to ready your post coz am learning italian words and new recipes. This is awesome! Ohh i love torta! 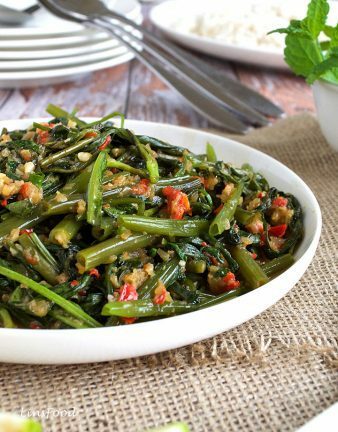 What a yummy looking recipe. It looks very tasty. I would love to try it. Thanks for sharing the steps. 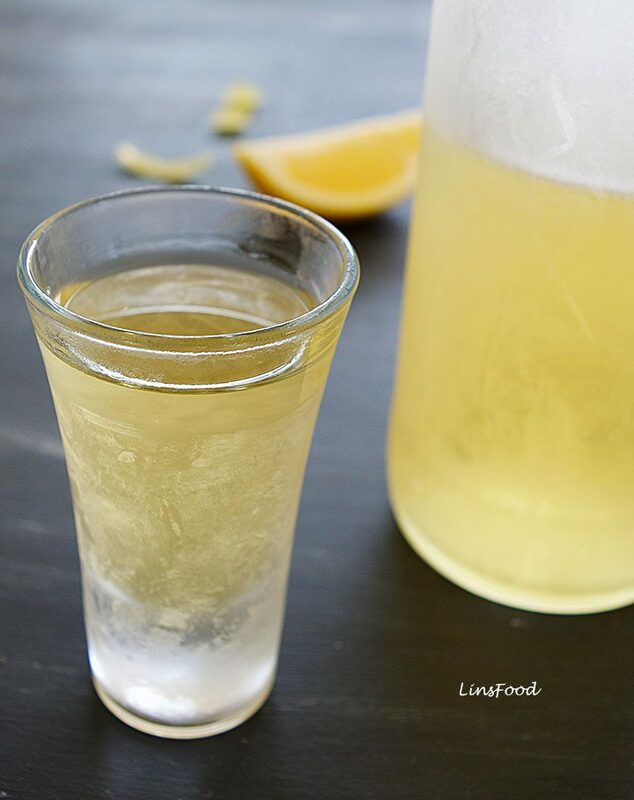 I love limoncello and would love to try your homemade recipe. Thank you for this information. A pleasure, let me know how it goes. that looks delicious! And the best thing about it that it’s so easy to make! Great addition for a tea party! That just looks super delicious. Would surely try this recipe. My brother loves cake will make it for him on his birthday. Thank you, I’m sure you’ll love it! It looks so yummy 😛 would love to try it at home. 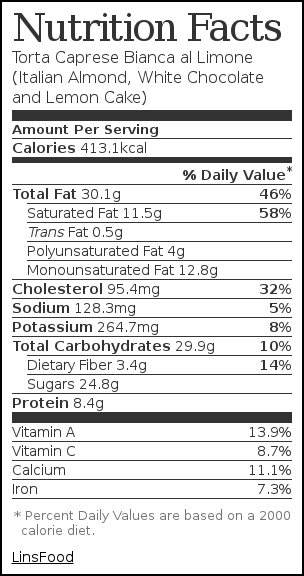 One query I want to substitute egg with what I can substitute ? Thank you. 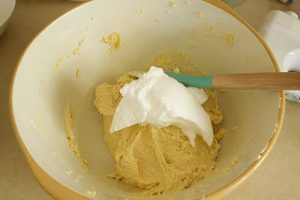 Generally, eggless cakes are made with condensed milk. 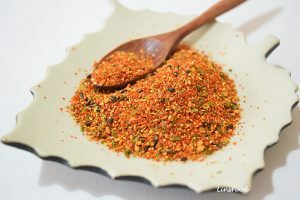 I shall be converting this recipe to an eggless one, as my girls are allergic to eggs. Look out for that. The Italian Torta Caprese looks so fantastic and scrumptious. 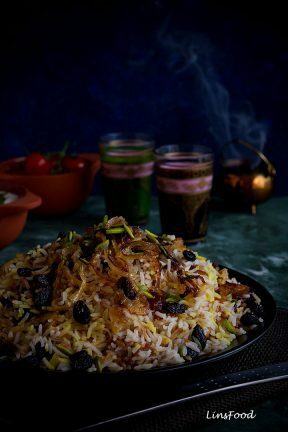 You crafted it and photographed it so beautifully that it is a culinary work of art. I’ve never had a cake like this before. It looks really lovely and I’m sure it tastes amazing with the lemon. I love that it’s gluten free. The flavor’s perfect for the summer! I think the chocolate one’s for colder seasons. Thank you, I agree with you. That is one mouth watering recipe of Torta Caprese Bianca al Limone. Loved the way you have shown pictures of every stage of preparations. Just makes it easy to follow! I drooled a little bit. This looks and sounds so damn amazing, especially with a Little limoncello on the side! Haha, thank you, definitely with limoncello. This recipe looks so easy to try and I love lemon cake so this will definitely be on my dessert menu. 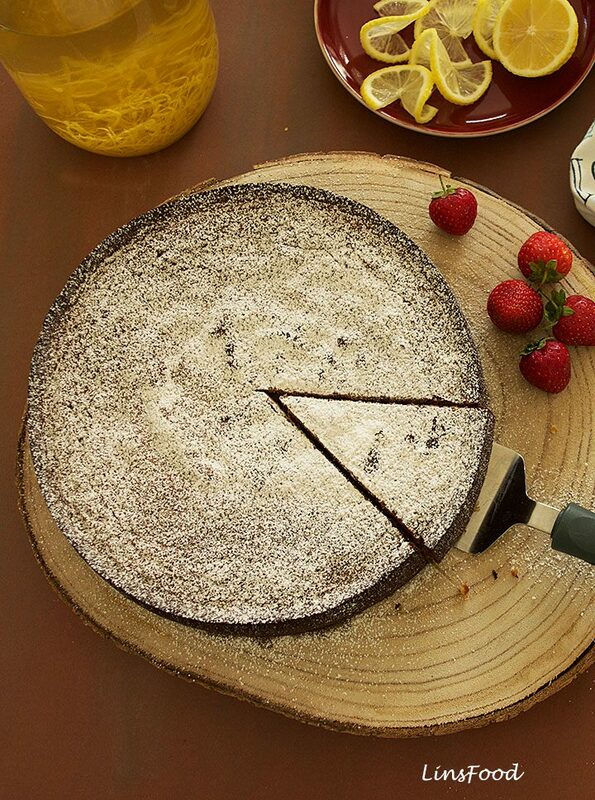 I LOVE torta caprese, one of the most delicious cakes ever. I will have to give this one a go, my mum is gluten intolerant but not a huge fan of the torta caprese (she’s more a white chocolate kinda gal) so this one might be her thing! Thanks Jackie, I’m sure she’ll love it. What an amazing cake. Thank you Lin, I’m a big fan of your cake series, so really pleased with this. Thank you. Let me know if you make it.